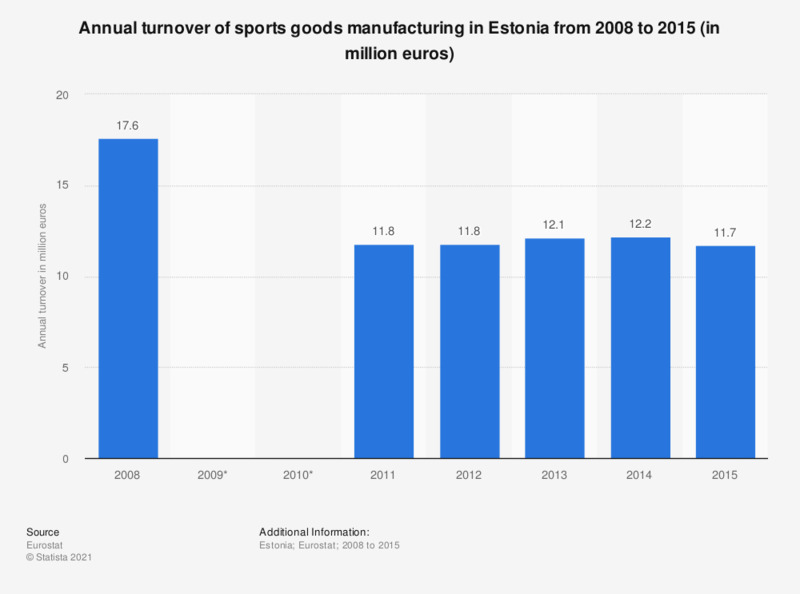 This statistic shows the annual turnover of enterprises for the manufacture of sports goods in Estonia from 2008 to 2015. In 2015 sports goods manufacturing generated a total revenue of around 11.7 million euros. * Data for 2009 and 2010 not provided by the source.